Cologne Cathedral is a renowned monument of German Catholicism and Gothic architecture and was declared a World Heritage Site in 1996. It is the biggest Cathedral in northern Europe, which is honoured as the most ideal paragon of the Gothic artistic style. 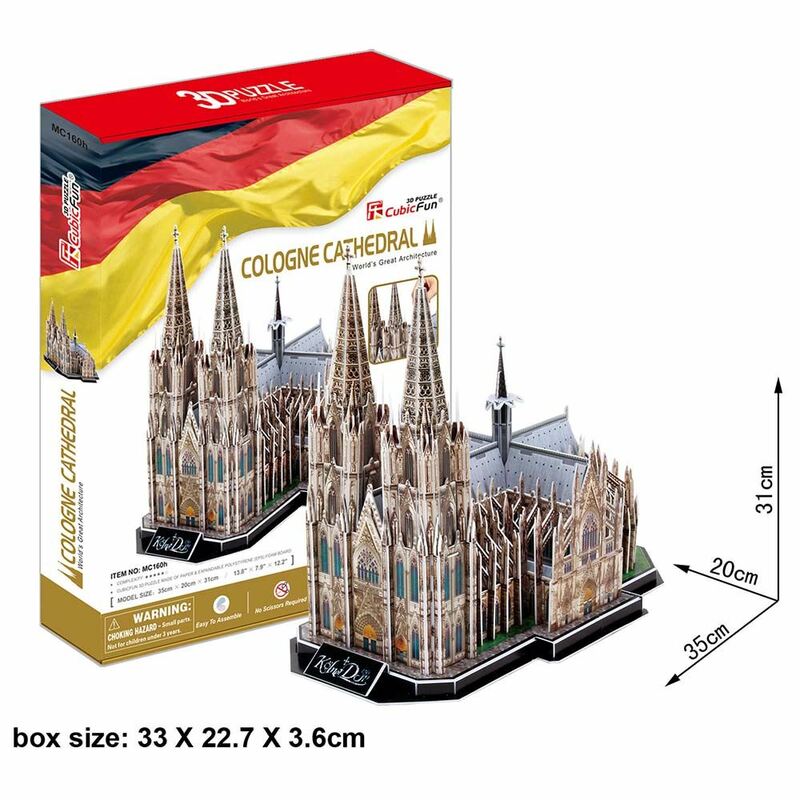 It is Germany's most visited landmark, attracting an average of 20,000 people a day and currently the tallest twin-spired church at 157m tall, which is the second highest cathedral in Germany and the third highest in the world. Its two huge spires give it the largest facade of any church in the world. This 3D Puzzle is made of paper and expandable polystyrene foam board, it is easy to assemble without the use of any other tools or glue. No of Pieces: 179. Model Size: 35cm x 20cm x 31cm. Age: 8+ years.